Emergency Dentists USA is proud to be able to present you with a list of 24-hour emergency dentists in Richardson. We know that it can be hard to deal with tooth pain and the longer you allow it to persist, the worse it becomes. I had a severe toothache over the weekend and knew my dentist wasn’t open. Thankfully I found Emergency Dentists USA! I was able to look on their site and found several dentists that weekend hours to help me out. There are several options for emergency dentists in Richardson, TX, which means relief is available to you when you need it. Fortunately, you will find that after hour dentists are plentiful in the area and many of these offices are open until 7:00 pm or 7:30 pm. In addition, many of them offer Saturday hours as well so you will always be able to visit the dentist when you need to. Almost all after hour clinics can handle dental emergencies in their office and can perform the procedure you need on site. We have made the process of finding an emergency dentist easy for you, all you have to do is look at the list of Richardson emergency dentists below and choose one to call so that you can receive the care you need right when you need it. Description Our operators standing by to assist you with any dental emergency you may face. If you take a bad fall or are worried about a potential infection, just call our 24-hour hotline, and let us find an emergency dentist professional that works best for you! Description: Comfort Dental is proud to announce that in Richardson, TX they are open on Saturdays for patients convenience! You can schedule an appointment for Saturdays from 7:30 AM until 1:30 PM, for anything you need. It may be an emergency procedure or standard cleaning that you’re after. Come see the staff at Comfort Dental today to get help on the double, coming from those with years of experience. Description: This is one of the few “emergency” dentists located in Richardson. This particular location offers hours on Monday through Saturday, so if you need to find a Richardson dentist as quickly as possible you’ll want to consider going to this clinic. Description: Here at Growing Smiles, you can visit up until 6 PM during the week, and from 9 AM until 2 PM during Saturdays. The staff here recognizes that not every situation can be attended to during the weekdays, and will do their best to accommodate any need you run into. It may be a root canal or need for an extraction, or just a routine check-up: they will do a great job for any situation. When you call to schedule an appointment with a Richardson emergency dentist, there are some things you should inquire about. First, you should ask what payment methods are accepted, as some offices do not accept cash or checks. Next, you should inquire as to whether or not the office accepts your dental insurance. Lastly, try to get a price estimate for service. You may not know what type of procedure needs to be performed, but the office should be able to give you an estimated price range. You should arrive at the office about 15 minutes prior to your appointment time to fill out paperwork. This paperwork will ask you basic questions about your medical and dental health. It is important for you to indicate whether you have any allergies or not. If you suffer from dental anxiety, you should inform the office staff prior to being taken back into the treatment room. Many emergency dental offices offer sedation options to their patients and you can discuss which one is right for you with the dentist on staff. Are you tired of dealing with a toothache? If so, it is time for you to seek out emergency dental care in Richardson. There are several common dental emergencies that can arise and they may cause you to experience a lot of pain in your mouth. Some of the emergencies will occur in a moment, such as a broken tooth, while others take time to develop, such as tooth decay. Any dental emergency that you have should be looked at by a trained and licensed dental professional in Richardson, TX. 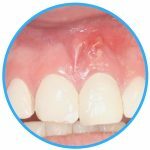 A dental abscess is an infection that occurs in your mouth and usually shows up between teeth or near the root of a tooth. It is important that you seek out immediate dental care, as this is a serious emergency. You should avoid touching or trying to pop the abscess, as this can cause the infection to spread. You should rinse your mouth out with warm water and apply a cold compress to the exterior of your mouth where the abscess is located to relieve some swelling. 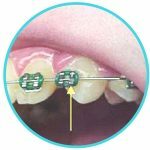 Broken braces wires can cause injury to your cheek, gums, and sometimes your teeth. It is important that you do not try to cut the wire, as it can become a choking hazard if the small piece is inhaled. The first step you should take is to try and move the wire away from your gums, teeth, or cheek. To do this, you should gently push the wire with the top of a pencil eraser. If the wire will not move, place a piece of dental wax over the top of it. If you have broken your tooth, the first thing you should do is recover the pieces and save them to take to the dentist if possible. Next, rinse your mouth out with warm water and then apply a piece of moist gauze to the site of the bleeding. Apply pressure using the gauze for 15 minutes. If you are experiencing any swelling, you should place a cold compress on the exterior of the cheek where the injury occurred. An emergency tooth extraction may be one of the many options presented to you when you visit a Richardson emergency dentist. Do understand that dentists only suggest an extraction when the tooth is not able to be saved or the tooth would not benefit from a dental crown or a filling. Many patients who have their teeth pulled do not need a lot of time to recover and you should expect the recovery to take about a day or two. Your emergency dentist will provide you with aftercare instructions that need to be followed and you should take all medications prescribed to you for the period intended. The number of patients who have started heading to the emergency room with dental problems has increased. While the ER may seem like the right place for you to go, it is not always the best option. The reason you should not go to the ER is that they cannot perform any type of dental procedures on you. 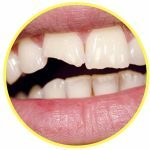 The most they will be able to do is look at the tooth in question and confirm that it is not a serious or severe issue or is life-threatening. In some cases, they may prescribe you medication and tell you to follow up with your dentist. Now there are some times when you should head to the ER, and those times include when you have been involved in an accident, suffered trauma to your mouth or head, or if you have fallen down. Instead of the emergency room, you should see a local Richardson emergency dentist. Emergency dentists have the tools and equipment needed to perform any procedure you need to have done. If you are unable to find a local emergency dentist that fits your needs, call Emergency Dentists USA and let us do the work for you! Emergency Dentists USA is a portal that is intended to only be used for informational purposes and should NOT be used to replace the advice of a trained medical professional. Should you be experiencing an emergency, you should call 911 or head to your local emergency room for care. 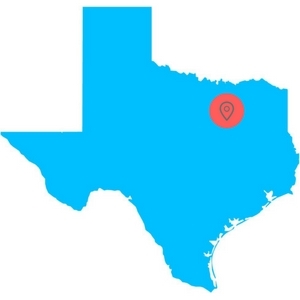 We do recommend that you take a moment to check out the Texas dental society to verify any and all credentials of any new dentist you plan to visit. In addition, you should take a look at the Texas State Board of Dental Examiners and the Texas Dental License and Registration Search.